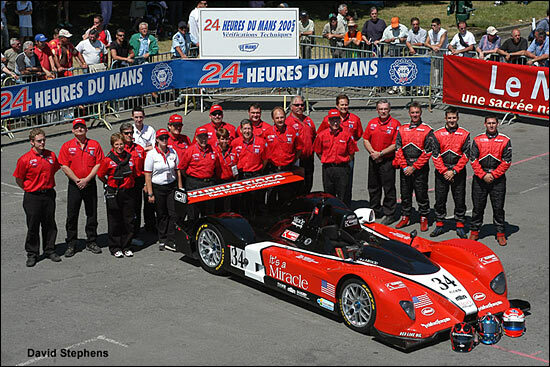 Miracle Motorsports team owner John Macaluso has confirmed that it his team’s intention to concentrate on endurance races this year: that is the Le Mans 24 Hours and Petit Le Mans. KUMHO will continue to supply tires to Miracle for these races. His Courage AER, driven by Andy Lally, Ian James and the team owner himself, had a very good run going in June 2005, until loss of drive necessitated either abandoning the car or rolling back into pit lane: the latter led to exclusion from the race. “We believe we’ve got a good chance of winning the LMP2 class at Le Mans if we focus only on that race,” said Macaluso. He added that KUMHO will expand its ALMS involvement and will announce an additional race partner in time to contest the Lone Star Grand Prix in Houston on May 12, and the rest of the ALMS schedule.